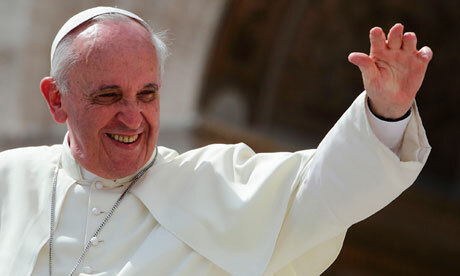 Pope wants to visit U.S. in 2015, sources say – CNN.com. It looks like there is a very good chance that Pope Francis will visit Philadelphia from September 22 – 27, 2015, to attend the World Meeting of Families. This is more than enough lead time for me to plan a family trip 🙂 It would be great for the kids (and me and wifey) to see the Holy Father. The last time I got to see the pope was Pope John Paul II, at World Youth Day in Toronto in 2002. This entry was posted in Catholic, Religious and tagged 2015, Catholic, Catholic Church, CNN, Philadelphia, Pope Francis, united states, World Meeting of Families. Bookmark the permalink.